In passages that read more like an Indiana Jones screenplay than scientific research, the Poinars describe how their hobby-turned-obsession ultimately led to a breakthrough scientific finding: the discovery of preserved insect DNA in amber. Photos. 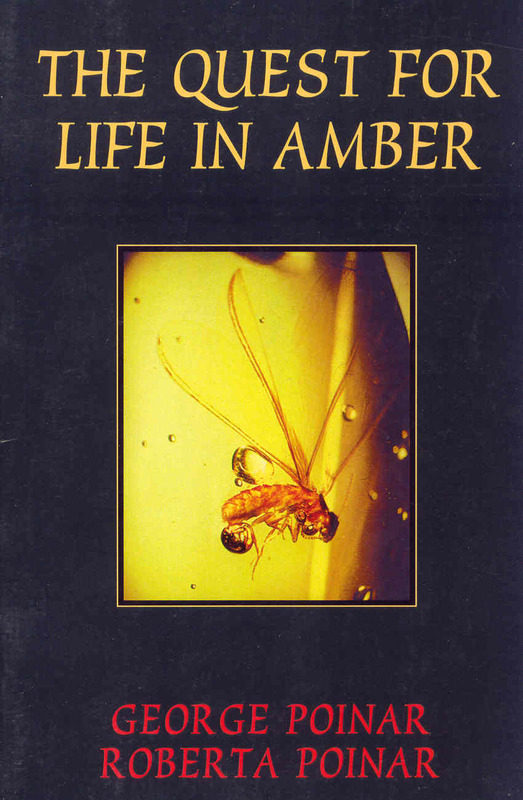 George Poinar, an entomologist at UC-Berkeley, and Roberta Poinar, an electron microscopist there, began with an avocational interest in amber and a simple question about the possibility of cell preservation in fossils often found in the hardened resin. It was only coincidence, they maintain, that their 1991 discovery that the tissue of bees preserved in amber contained DNA 25-40 million years old closely fit the subject of Michael Crichton's Jurassic Park. Here the husband-and-wife team details how a hobby led to a compelling thesis, taking readers on a tour of the world's fossil amber beds from Scandinavian beaches to the Caribbean to Russia, Africa and New Zealand, offering bits of gemology, social history and molecular science. The likelihood of a Jurassic Park scenario playing out in real life remains firmly theoretical, the Poinars reiterate, in their engaging tale of an absorbing search. Photos. This is a great book and a welcome addition to anyone's library. This is a soft covered book.